Brrr! It’s cold outside! 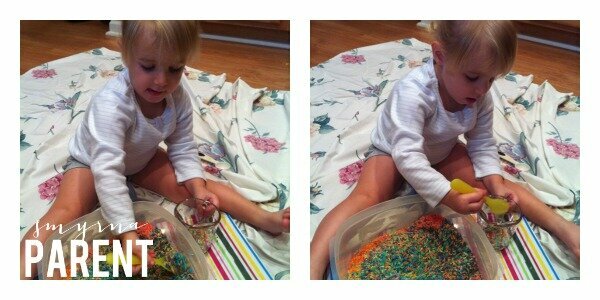 If you’re looking for some indoor fun with your toddler or preschooler, a rainbow rice sensory bin will bring some colorful cheer to a cold day. It’s super simple and can most likely be done with items you have in your house right now. 1. Place the desired amount of white rice in a plastic bag, or mixing bowl – I used about 3/4 cup. 2. Add about 1/2 tbsp of rubbing alcohol or 1 tbsp of white vinegar. 3. 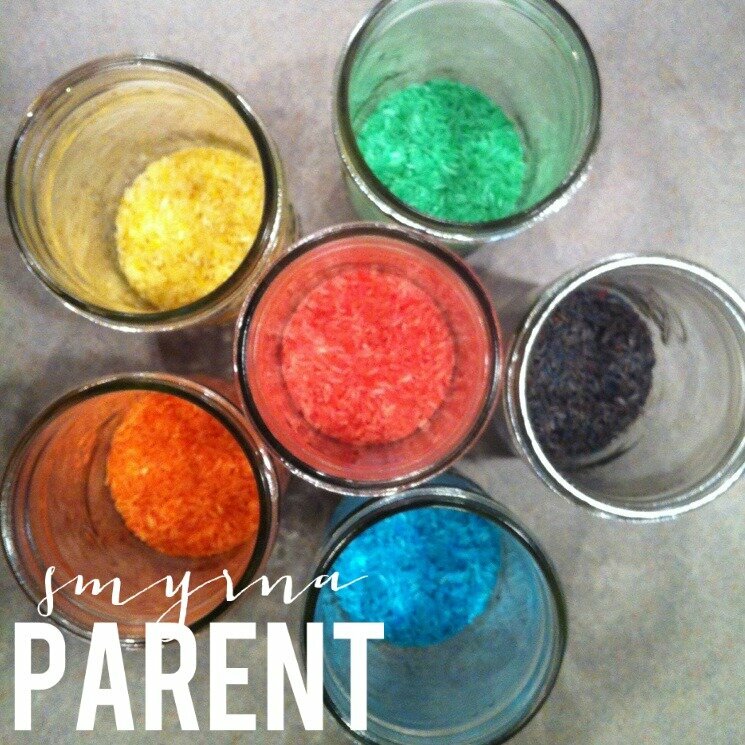 Add several drops of food coloring. I used 4 drops of each color. 4. 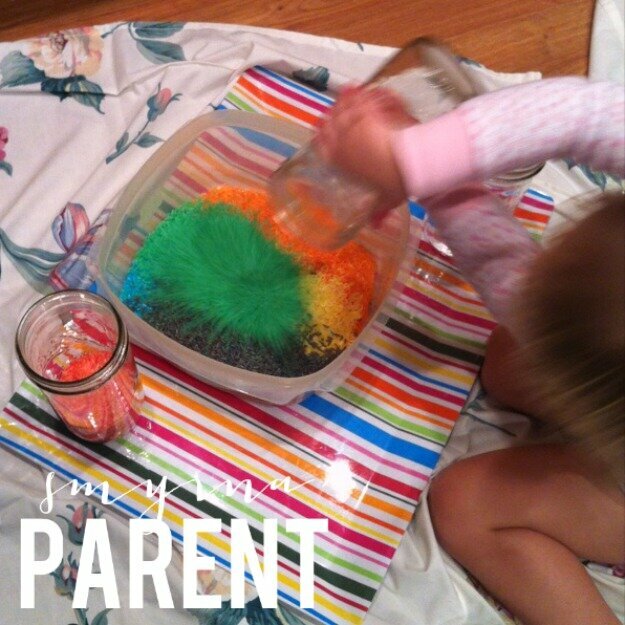 Hand the plastic bag to your child and let them mush and squish until the color is evenly distributed. Or, if you’re using a mixing bowl, it’s great practice to let your preschooler stir up the rice and watch the dye do its thing. 5. Place the rice on paper towels so it can dry. Rubbing alcohol will dry a bit quicker, but it’s fairly quick. If you start before nap time, you’ll be ready to play once your child wakes up.